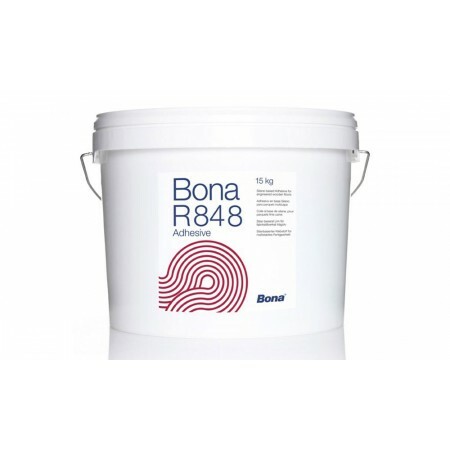 Bona R848 is an elastic 1-component Silane based adhesive for dimensionally stable, multi layered engineered parquet and solid boards (min thickness 15mm) up to 190mm wide. Tensions to the sub floor are reduced. The adhesive hardens by a chemical reaction with moisture. Subfloor preparation should be in accordance with British Standard BS 8201 2011. The substrate must in general be even, totally dry, clean, free from cracks and physically sound. The temperature must not fall below +5°C or exceed +25°C during storage, Store in a cool, dry, well ventilated place.